Baros is clearly a labour of love. Something special is imagined and something new is brought to fruition with every incremental improvement of this much loved resort. 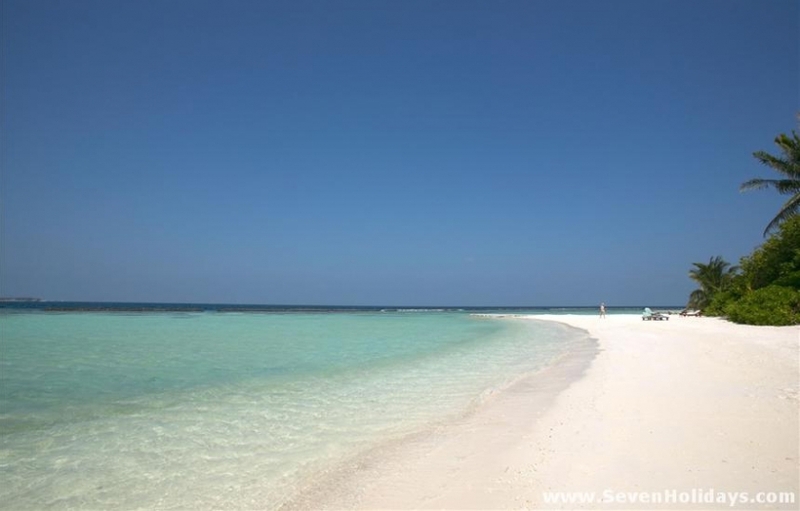 Baros is a holiday resort that has a devoted following of repeat visitors. It has been rebuilt several times in its existence, reinventing itself as something new and better still, but maybe not so different. 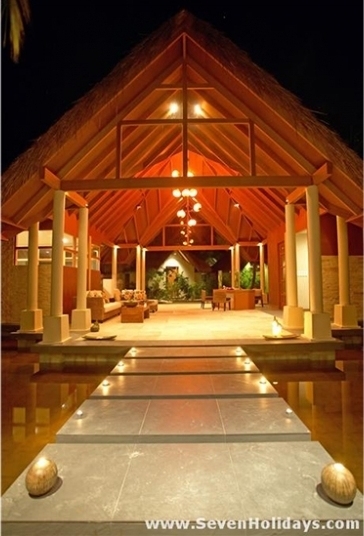 It always retains the intimacy, friendliness and closeness to nature that people so love about Baros. The changes of build, style and service brought the resort up into the elite. Each aspect of the resort is designed as an ‘event’ to draw out more pleasure, so Baros leaves guests with deeper, lasting impressions than before. 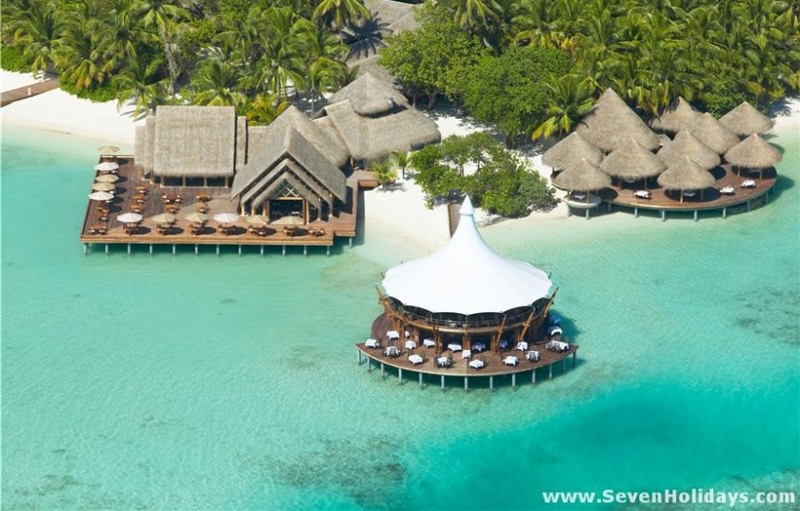 Walking down the jetty, one’s eyes are drawn to the beautiful lines of the restaurants built into the lagoon. Then entering the grand reception, impressive yet not overstated, guests get an immediate and satisfying sense of having arrived.This sense continues into the rooms. The quality of the workmanship is obvious; modern and a touch ‘different’ in style. 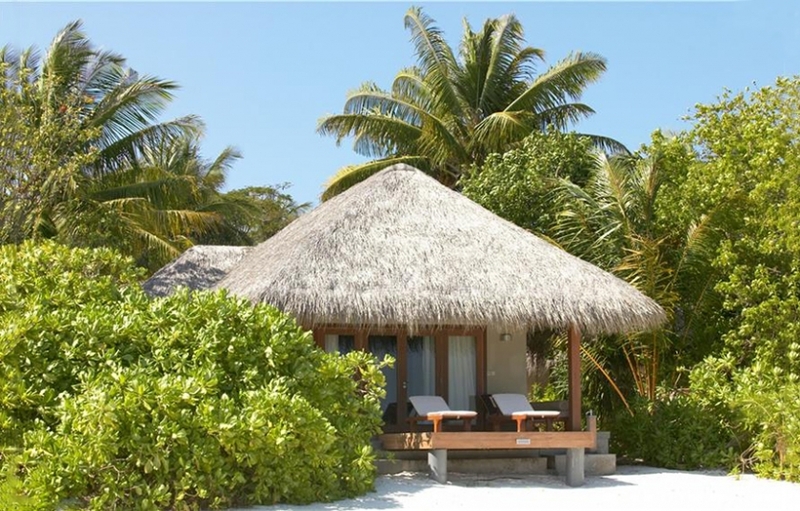 There are 4 categories, Deluxe Villas, Baros Villas, Baros Pool Villas and Water Villas - not including Baros Residence. 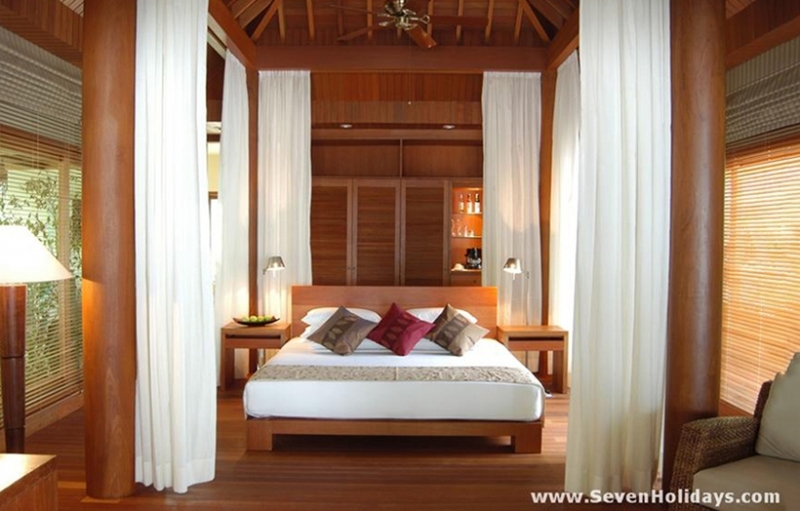 The deluxe villas are excellent, elegant and simple (without a 4-poster). The other categories feel like you are in the pages of a coffee table book of chic hotel rooms. Designer fittings, well concealed tv and dvd player, Pininfarina coffee maker and well-stocked wine cooler indicate a great deal of attention has gone into making the rooms a significant part of your holiday. The second category Baros villas are fine but the premium Baros pool villas are really spectacular, with their private beachside location and rich casual design. 2011 saw Baros introducing Baros Premium Pool Villas, with extra touches including jacuzzis, infinity-edge plunge pools, teak dining tables and chairs. 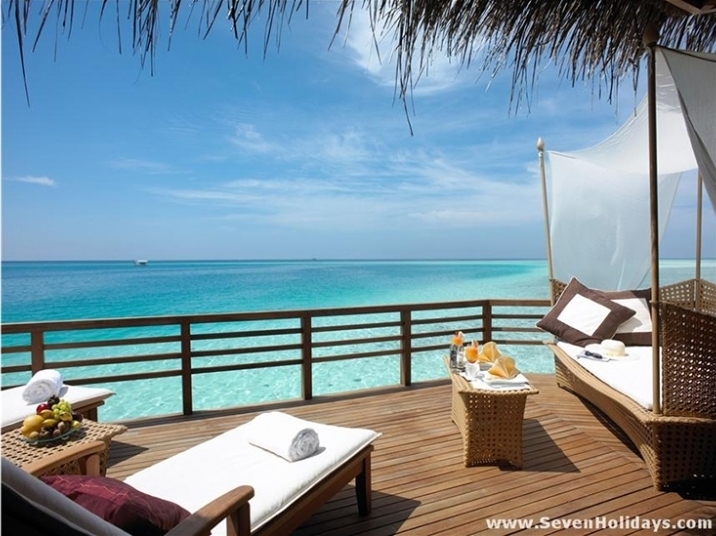 The water villas have spacious sundecks and bathrooms overlooking the lagoon. Every room is just a few feet from the beach or the lagoon and each has a very large deck with a bolstered daybed and a dining table, so you won’t be surprised to find that many guests are not seen anywhere else on the resort for days on end. As the wines in the cooler are very well priced and room service is 24 hours a day, it makes ‘staying at home’ a most enticing option. 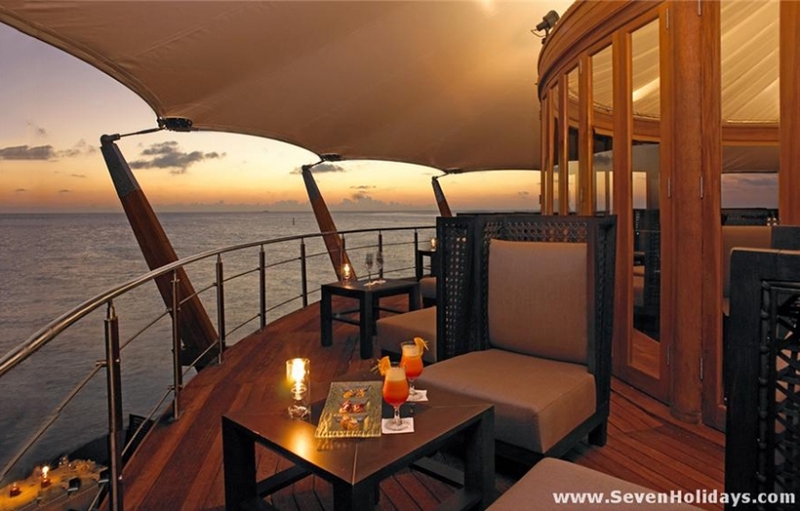 It is the food and wine, as much as the beautiful setting, that secures Baros’s place among the elite resorts. The Lighthouse Restaurant has a dramatic white peaked roof marking it out as the icon of the resort. Upstairs is a classy lounge bar with panoramic views, just the place for a preprandial martini or glass of champagne. Below is one of the true haute cuisine restaurants in the country, serving an eclectic menu of Asian and Mediterranean classics and fusions. The wine cellar is extensive and renowned wine growers are invited to present and talk about their vintages. The other restaurant of note is the Cayenne Grill where seafood, meat and vegetarian dishes are prepared in your choice of 8 distinct styles and served at your own thatched pavilion on decking beside the water’s edge. The Lime Restaurant is the more informal all-day dining option. As everyone is on a bed and breakfast arrangement these restaurants, as well as the villa dining, are critical to the resort’s success and reputation.Unusually the main bar is not on the water’s edge but inside the island, under tall palms. Called Sails, it has long been the heart of the resort for the returning friends of Baros. It is at once intimate and open. A delightful place. The usual factors that build a resort’s reputation are here. Snorkeling is good and access is very good, as the reef runs close around most of the island. The beach surrounds the island and is mostly excellent with just a small area of less fine sand in front of some deluxe rooms. A low wall in the lagoon has been deemed necessary in order to protect the beach from erosion. 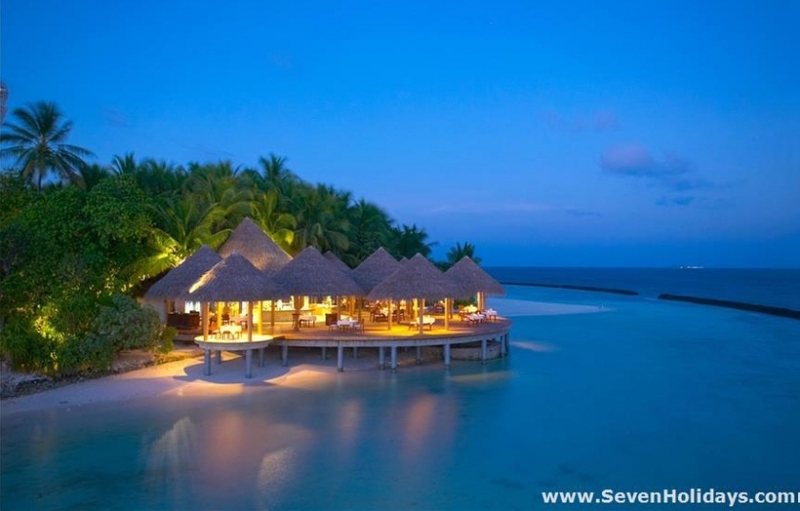 The island is an example of Maldivian nature at its best. Replanted plants and flowers blossom to their original glory around the public areas. Baros is a multi-award winning island but these only give you an idea of the invisible magic that makes a resort stand out from the rest. The latest gong is the award of the Eco Dive Centrestatus, which makes it the first resort in the Maldives to offer the Reef Check EcoDiver programme, focused on knowledge of the reef and its preservation.